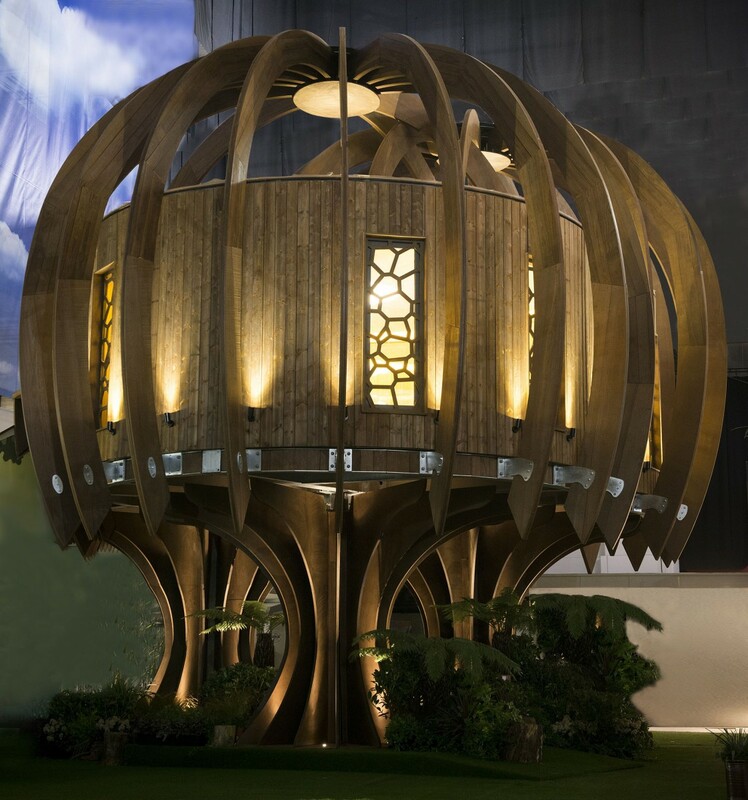 John Cullen have designed the lighting for Britain’s most futuristic tree house which is on show at The Ideal Home Show (Friday 14th – Sunday 30th March). The ‘Quiet Tree House‘ by Quiet Mark and John Lewis was designed by Blue Forest – the world leading luxury tree house company – creates a healthy acoustic environment in this ambitious next generation tree house. John Cullen were invited to add to the experience of being inside by designing an energy efficient lighting scheme both inside and out. This is the first tree house we have lit and we designed a scheme to enhance the architectural form by uplighting the structure of the trunk with Wall Spotlights and the tree-like canopy below with 1w Lucca External uplights. 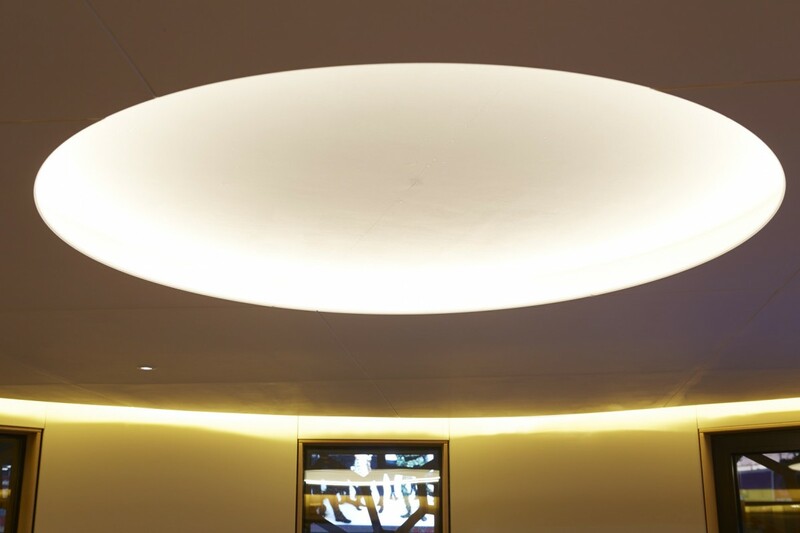 Another main objective has been to heighten the experience of being inside with concealed lighting. The design uses the latest materials to block out unwanted sounds while also improving the acoustics inside – and we have used light to make the tree house feel an even more special retreat. The eco credentials of the Quiet Tree House are very important, so we used energy efficient LED lighting throughout such as the LED Curve and Polespring LED Downlights. 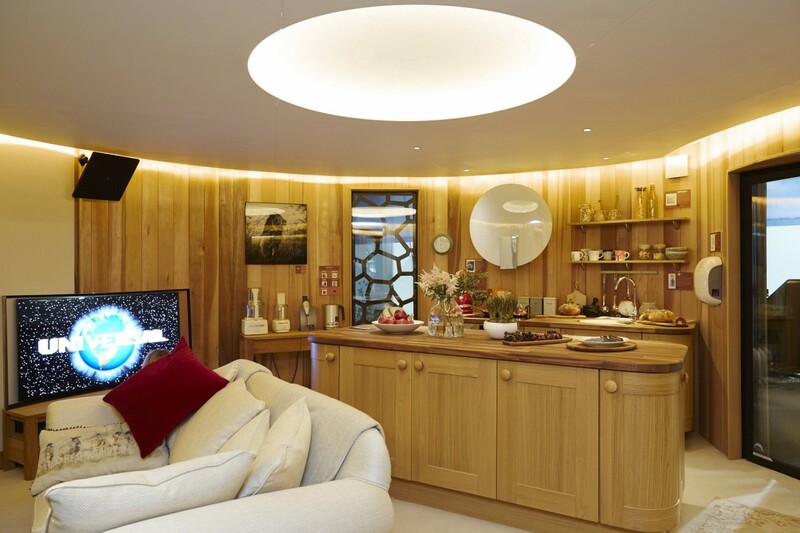 After the Ideal Home Show, you will have another chance to see The Tree House at RHS Hampton Court Flower Show (Tuesday 8th – Monday 14th July), and then it will be given to Chestnut Tree House children’s hospice in Sussex.